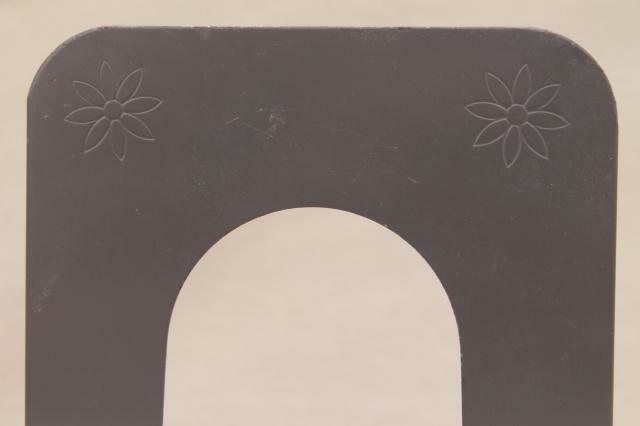 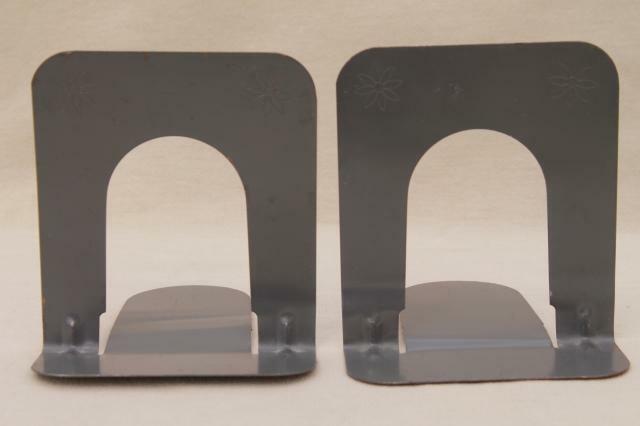 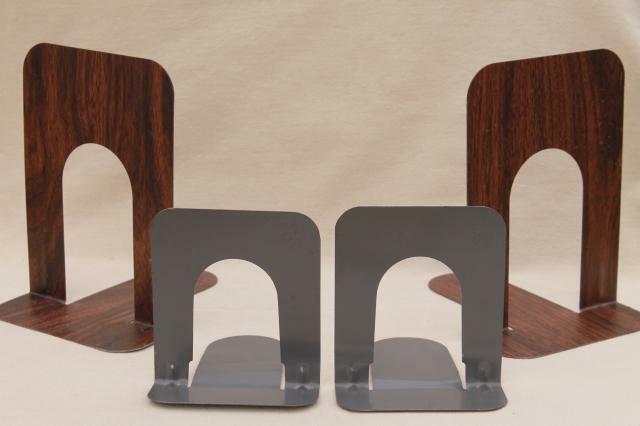 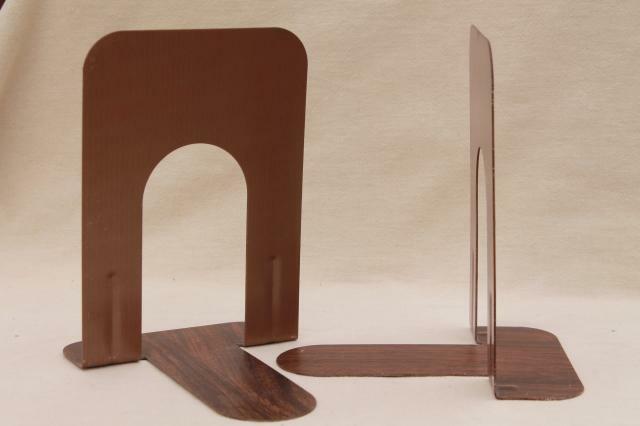 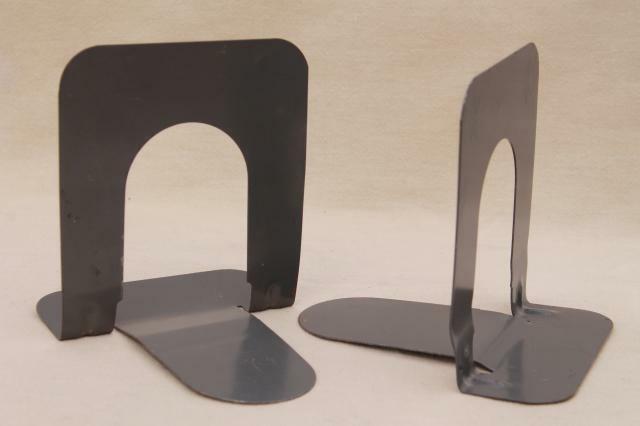 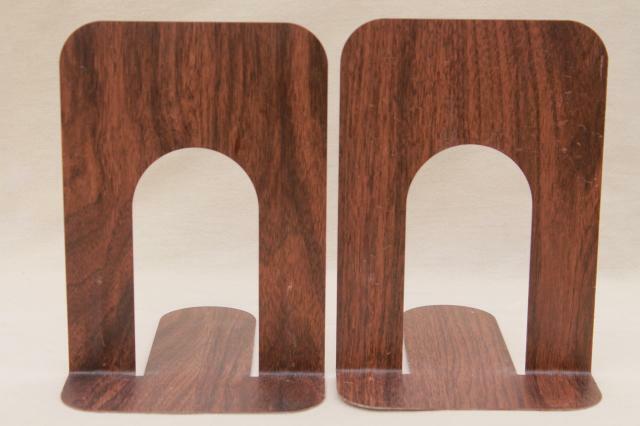 Lot of two sets of steel bookends, minimalist mod industrial style for your home or office. 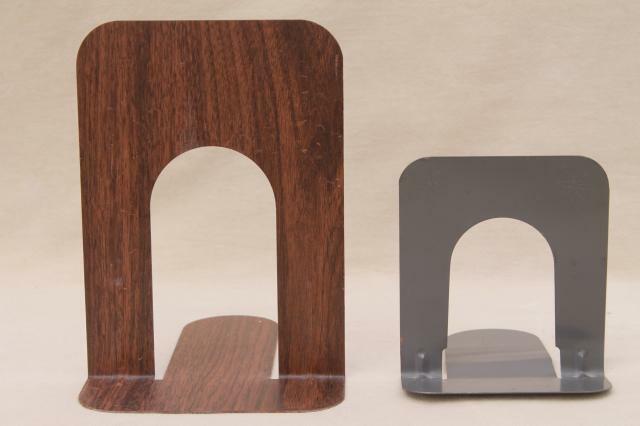 These measure about 8 1/2" x 6" over the larger pair, and about 5 1/4" x 4 3/4" over the smaller ones. 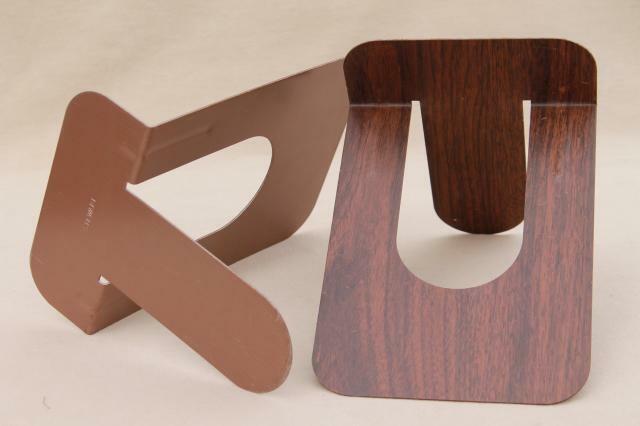 Both are used, but solidly built and made to last forever. 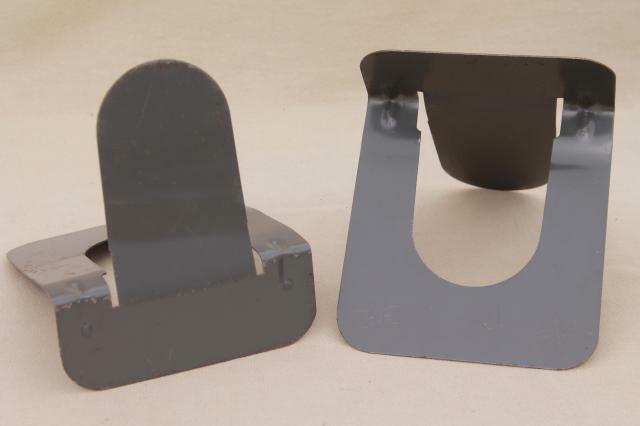 There's a little light scratching and / or finish wear to both sets from use.